There are plenty of practical reasons to have draperies and rods installed as your window treatments, but they're most frequently chosen because of their aesthetic elegance and versatility. 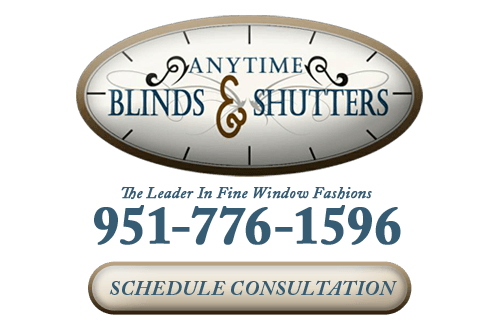 At Anytime Blinds and Shutters, we take a great amount of pride in all of the window treatments that we install, and our in-house draperies in Riverside, CA are the perfect products for bringing an elegance to any kind of interior design. Our professionals can provide you with a free in-home consultation to help you select the perfect window treatments for your Riverside home based on your home, tastes, and budget. Our draperies and rods are available in a wide variety of different colors, designs, and styles, so we'll always be able to help you find the perfect options for your home. After you've made your decision, our experts will provide you with free professional installation services. Drapes and curtains were originally used to protect homes from drafts, and they were typically very plain with little in the way of design or aesthetics. Over the years, drapes transitioned into being used as more decorative window coverings, and today, the varieties available are nearly endless. Aside from being able to choose from styles like standard curtains and glamorous valances, the fabric selection for custom drapery is seemingly limitless. Draperies are available in a huge variety of fabrics and materials, so you'll be able to decide on their thickness, which will govern how much light they'll allow into your home. Draperies can be designed to cover only part of your windows, which gives you even more freedom in deciding how much light they'll allow in. Draperies can help you reduce the amount of energy that you use to cool your Riverside home. Your draperies are guaranteed to perfectly fit to your windows. Draperies will last longer than many other window treatments, so it will be years and years before you need to have them replaced. Draperies offer a great appearance as an ease of functionality that makes them extremely useful and valuable as window coverings in Riverside and the surrounding areas of Southern California. Their simplicity keeps them among the most popular window treatments there are, and they can easily work well with any kind of interior design style. 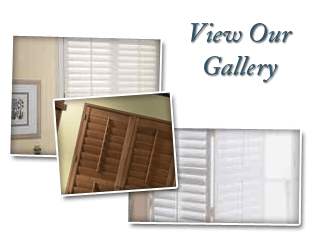 Our Riverside shutter company will do whatever it takes to make sure that you're completely satisfied with the custom drapes and curtain rods that we install in your home or business, and we look forward to working with you. If you are interested in an estimate for draperies in Riverside, CA or the surrounding areas, please call 951-776-1596 or complete our online request form.